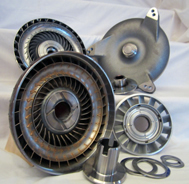 Your custom-built High-performance Stall-speed Converter will contain these quality components. 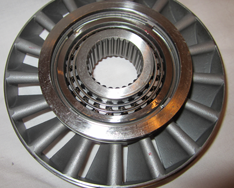 For applications where high shear force or increased low end torque are required a spragless stator is recommended. If your application includes the use of a Transmission Brake and or the use of Nitrous, a one-piece Billet steel Cover is RECOMMENDED. 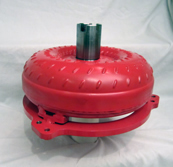 If your application includes the use of a Transmission Brake and or the use of Nitrous, a Steel or Billet Aluminium stator with either spragless or cartridge element is recommend and available.